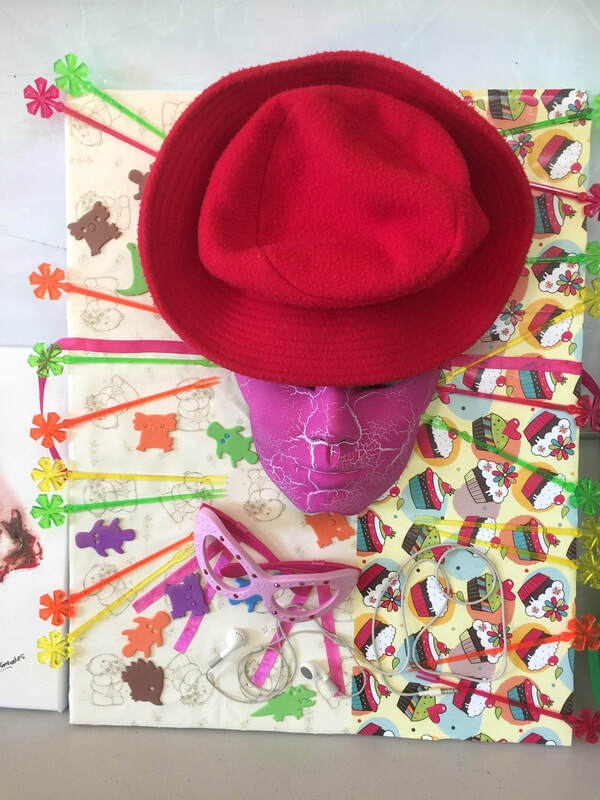 You’re invited to participate in the The Mask Project. Go beyond the normal painting arena and into varied creative activities. Collect a mask at the TLAS meeting or buy / make one. Choose any medium and process to produce a reflection of yourself. of what you have represented. There is no timeline for this project. A work in progress, well till August 2018. The end result, will be a dynamic collection of interesting masks to display at Carnevale. 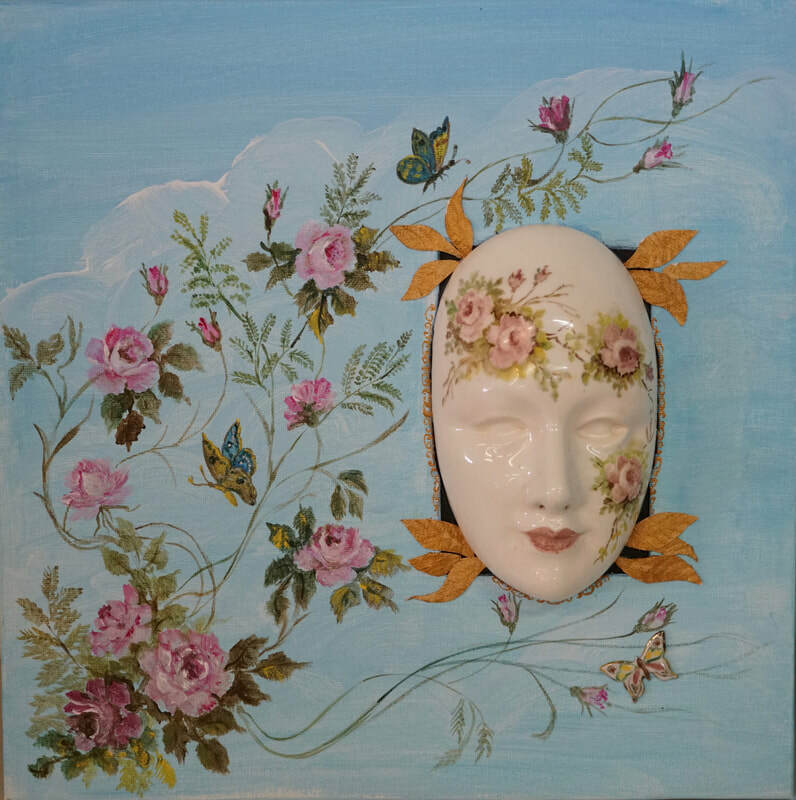 Mask by Karen Williams. 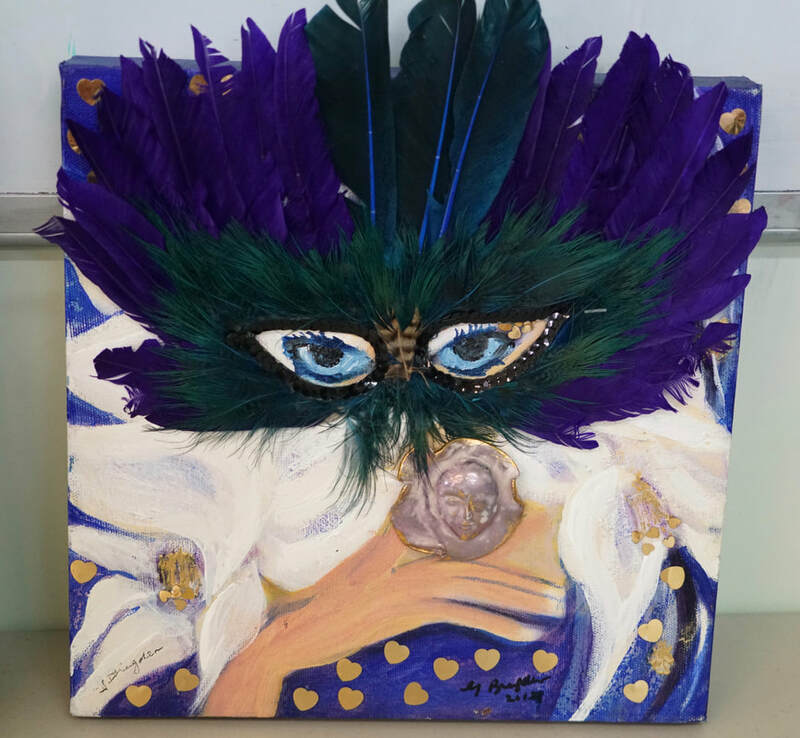 Accepting the Tuggerah Lakes Art Society challenge of painting a mask, mounted on a 20cm x 30cm canvas, I endeavoured to visually represent aspects of my art practice. The result is an artistic self-portrait. This piece has elements of the varied and numerous creative disciplines I have explored over the years. Represented here are found-objects art, pen work, painting, jewellery, paper and textile work plus art forms using knitting and crochet. 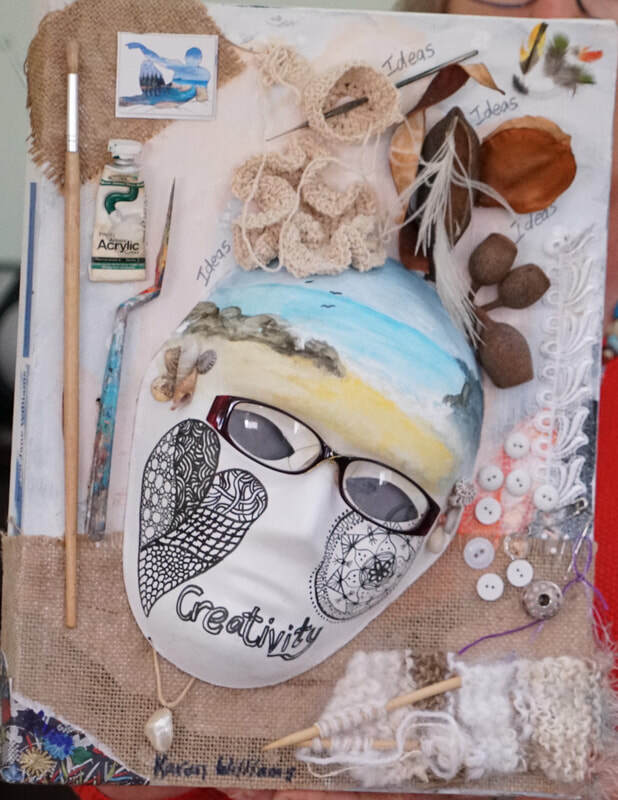 My ideas could not be contained within the mask shape but have spread to the mount canvas and overflowed down the sides. The painted beach scene reflects my attachment to the Central Coast. The “tangle” and “mandala” are samples of my active mediation. The mask is attached on a slant because I’m proud of my artistic “bent.” I wear glasses. I support the ideas of up-cycling and have not hidden the fact that the canvas is re-cycled. Part of my business card has been attached to the left edge of the canvas with details of my web and Facebook pages, all of which I designed. I find creativity in using the computer. 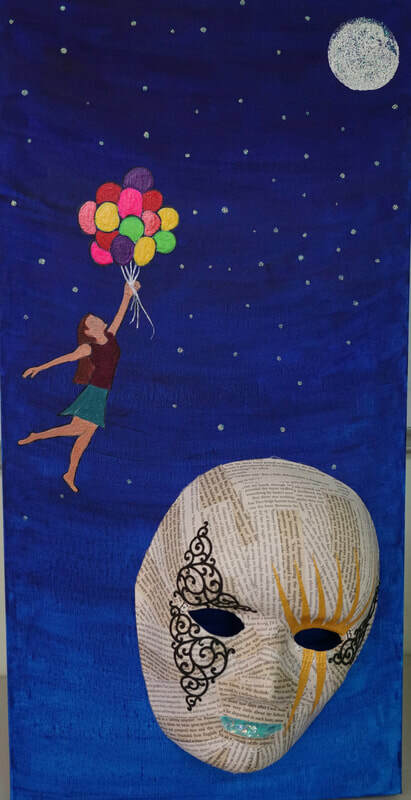 Although the overall piece is busy, there is harmony and balance, a suitable metaphor to describe my art practice and my life. Mask by Sami. COME DREAM WITH ME I was always a bit of a dreamer as a kid, and that hasn't changed. I learned to dream through reading, I get lost in the pages of a story and that’s where you will often find me. I always want to make people's day a bit brighter… perhaps a dream. COME DREAM WITH ME! Want to know more? Join the TLAS? Help out with Carnevale?